For some reason there is something about summer that just makes me obsessed with lemon. The bright, citrus flavor is just great during the summer. 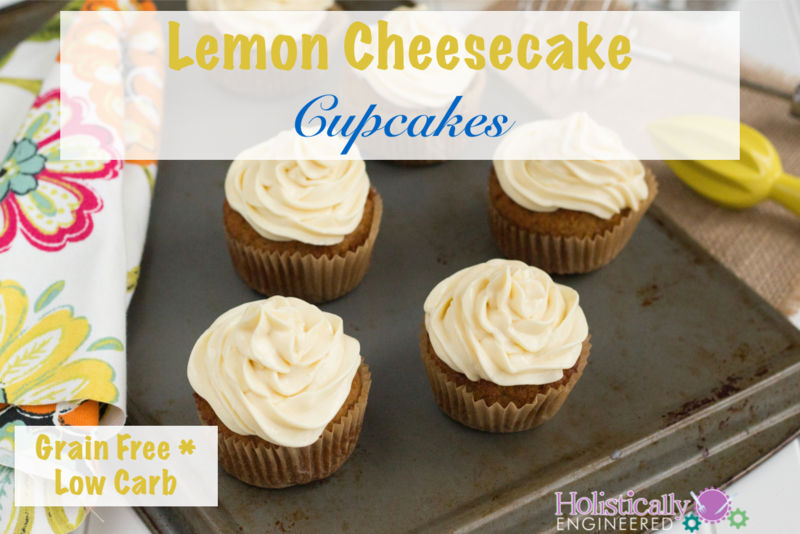 I decided to make a lemon cheesecake frosting for cupcakes….the perfect summer dessert! 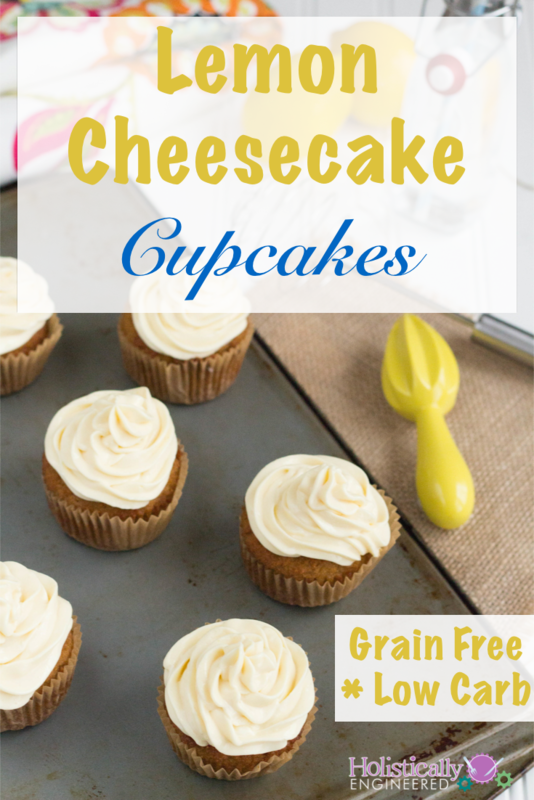 The cupcakes act like the crust of the cheesecake so they make a great pairing. Not a fan of lemon? You can fold in some puréed strawberries or blueberries into the cream cheese instead of the lemon curd. Want to have even less carbs? Eat the frosting with the spoon 🙂 Seriously….it’s so good! In a mixing bowl, mix the butter/ghee and the sweetener over medium speed until smooth and creamy. In a separate bowl, combine the coconut flour, baking soda, and salt. Add the dry ingredients to the wet and mix to incorporate. Using a large scoop, scoop the mixture evenly into a muffin tin lined with 6 muffin liners. Bake for 20-25 minutes or until cooked through. (If the muffins start to get too dark, cover with parchment paper and continue cooking until cooked through). Let cool for 1 hour before frosting. In a mixing bowl, beat the cream cheese, sweetener, and vanilla on medium speed until smooth. Fold in the lemon curd until combined.